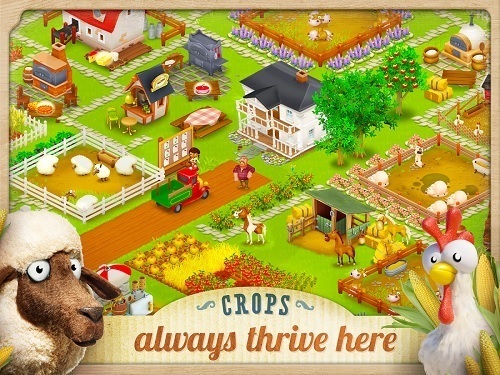 Hay Day is one of the most popular alternatives to FarmVille, commanding a user base well into the millions. In such a competitive genre this success doesn’t come down to just luck either. 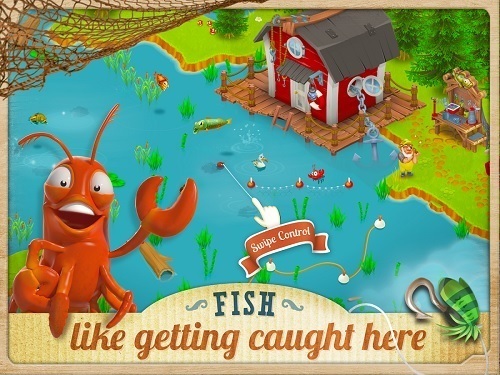 Within Hay Day you’ll find a game that has refined the definition of the genre in all elements to deliver a game that is enjoyable, addicting and long lasting. In this mobile farming simulation game players will be overtaking the farm from their uncle Greg who is no longer able to care for it. As is traditional in this genre you’ll be starting small and literally building from the ground up while you earn experience and coins for your farming activities. While the core gameplay revolves around the harvesting of crops and animals for shipping orders or for sale on your roadside shop the game includes a number of other elements to keep you playing. From the co-operative communities that encourage players to support each other to the ability to restore the old rundown town next door. Transforming this rundown town gives players that something extra to use their hard earned coins on and makes the game much more than just a FarmVille clone. With a restaurant, diner, grocery store and other buildings to bring back to life you really feel like you’re reviving a city with the income from your farm produce. With colourful graphics to bring the game to life and regular updates to constantly add new levels and in game items to unlock it’s easy to keep enjoying Hay Day over the long term. It’s a game that really gives you a sense of progression. In terms of mobile farm management games it’s easy to see why Hay Day has become the leader in this space, the commitment that Supercell is giving to this game and their other popular creation, Clash of Clans should be something more gaming companies strive to meet. A community in the millions. Create a farm and revive a rundown town at the same time. New content with every update. A refined management experience with something to always keep you busy.